A natural hair convention that celebrates, educates & demonstrates natural hair care, techniques and natural hairstyles. 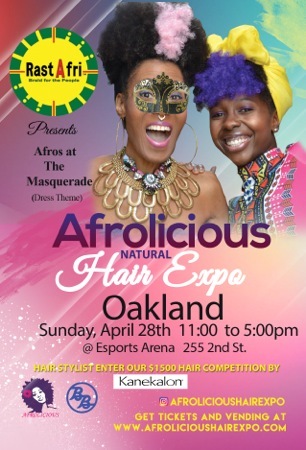 Featuring an Afrocentric fashion show, professional hair panels, a Little Miss Afrolicious Pageant for girls 5 to 12 years old. With natural Hair & Beauty product vendors with unique fashion, accessory and local busines vendors.